If you suffer from fibromyalgia pain, you know that it is difficult to find relief and that sometimes even getting out of bed, let alone going to work, can be virtually impossible. For this reason you may find the need to apply for Social Security Disability to ensure that you can meet your financial obligations. Because fibromyalgia is such a complex condition, and because getting a definitive diagnosis can be tricky, there are some things you need to keep in mind when filing for Social Security Disability. The first step is working with an experienced social security disability advocate who can fight for you and help you win your disability claim. In order to be approved for Social Security Disability for your fibromyalgia, you have to meet certain criteria, specifically: that your fibromyalgia has persisted for 3 months or more and that it results in widespread pain over multiple areas of the body above and below the waist at certain predetermined points. Your medical history will be used to determine whether you have what is called a medically determinable impairment or ?MDI?. The first thing that you need to get started with your fibromyalgia related Social Security claim is a verifiable diagnosis of fibromyalgia from a licensed physician. This diagnosis, along with your comprehensive medical records, will be reviewed by the Social Security Administration while processing your claim for benefits. To help with your case, you are going to want your medical records to be as comprehensive as possible pertaining to your fibromyalgia. Our team of ssd attorneys and disability advocates has the experience to fight for you and win you the benefits you deserve. Speaking with us is easy, and there is no charge for our initial consultation. Specifically, when considering your fibromyalgia-related claim for Social Security Disability, the Social Security Administration will want to determine that you have at least 18 tender points at predetermined locations both above and below the waist that your symptoms have persisted for at least 3 months and that all other possible causes have been ruled out. Being diagnosed with a fibromyalgia disability can be a difficult on many levels. First and foremost, getting definitive diagnosis isn?t always easy because it isn?t a testable disorder, but rather a process of elimination of other causes of a variety of symptoms. Fibromyalgia symptoms classically consist of widespread pain, problems sleeping, and an overall increase in pain when pressure is applied to certain areas of the body. The disorder can also include a plethora of other, seemingly unrelated symptoms, ranging from twitching to nerve pain, cognitive problems, memory impairment and even bowel disturbances. No one is exactly sure what causes fibromyalgia disability to strike an otherwise previously healthy individual. Many physicians and medical professionals believe there may be an environmental component to the disorder, while others think it may be primarily related to genetics. There is supporting medical evidence for both theories, but further study is needed. The only true consensus regarding fibromyalgia disability is that it is the result of neuro-chemical imbalances in the brain as well as improper pain processing throughout the nervous system. Regardless of the true underlying cause, fibromyalgia disability is painful and ultimately extremely debilitating to many sufferers. In addition to causing widespread and often uncontrollable pain, fibromyalgia disability can have a negative impact on mental health as well, and it is often associated with clinical depression and generalized anxiety disorder. 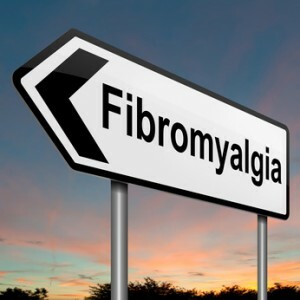 Overall, a clinical diagnosis of fibromyalgia can have a devastating impact on a person?s life and livelihood; it is a difficult disorder to overcome because of its many varied symptoms and the fact that treatments are far from universally effective. Fibromyalgia can be a devastating condition to have to deal with, but what?s worse is actually getting a definitive diagnosis for your pain and other symptoms. The fact of the matter is that fibromyalgia pain goes hand in hand with many other, seemingly unrelated symptoms, so many sufferers do not realize that the myriad of difficulties they are dealing with are actually part of the same condition. This can make diagnosis tricky for patient and doctors alike. Our social security disability advocates will help prepare your case and find you the right doctor for you to win your disability claim. For the purposes of fibromyalgia pain and SSD, fibromyalgia pain must fall within a fairly specific set of criteria to be considered an official fibromyalgia disability. Specifically the symptoms of the purported fibromyalgia disability must include widespread joint pain, muscular pain, as well as pain in various tendons and other soft tissue that goes on for at least 3 months or more. The pain must also limit the sufferer?s function in such a substantial manner that it prevents them from being or becoming gainfully employed. When applying for fibromyalgia disability benefits, you and your doctor need to be aware of your symptoms, specifically where upon your body your pain is occurring. When it comes to fibromyalgia pain and SSD, the Social Security Administration has very specific guidelines regarding where on the body your pain is located and how it is triggered ? it must occur for more than 3 months on all quadrants of the body and in at least 11 points above and below the waist. When considering fibromyalgia pain and SSD, your entire medical record will be examined to determine whether you suffer from fibromyalgia disability. If you suffer from fibromyalgia and require Social Security Disability help, there are some things you should keep in mind to help your through the Social Security application process for this debilitating condition. First and foremost, you are going to want to have access to comprehensive medical records documenting your condition and verifying that you have been suffering from widespread fibromyalgia pain for at least 3 months or more. Indeed, in the case of fibromyalgia related Social Security Disability, the Administration will want to review your comprehensive medical records for the 12 month period immediately preceding the date of your application for SSD help. Because fibromyalgia is largely a disorder of exclusion, in addition to requiring medical records for your doctor, when you request Social Security Disability help for fibromyalgia, the Social Security Administration may also request medical records or other pertinent information from mental health professionals and other qualified sources to ensure that the applicant seeking SSD help does indeed suffer from fibromyalgia rather than other, perhaps psychological, impairments or disabilities. When seeking out Social Security Disability help for fibromyalgia, it is also acceptable for the Administration to seek out and investigate non-medical sources regarding the credibility of an applicant?s claims regarding their impairment and inability to work due to their fibromyalgia-related impairment/symptoms. These sources can be anyone close to or even associated with the applicant seeking SSD help. Speaking with us to help prepare you and your witnesses for the social security administration interviews is essential to winning your claim for the benefits you deserve. In addition to investigating past medical history, the Social Security Administration may choose to purchase a consultation exam at their expense to get all of the information/evidence they require to make a decision regarding Social Security Disability help on a particular case. If you suffer from fibromyalgia, chances are that one of your biggest questions is ?Why?? This is because fibromyalgia tends to suddenly appear in otherwise healthy adults, generally women, and as of this date, no one is really sure exactly what the root cause of the disorder actually is. There have been many, varied speculations about the cause of fibromyalgia, with ideas ranging from stress and hormones to genetic disorders and impurities in the environment. There have been countless studies funded by both public and private institutions alike, but to date, no consensus. Many medical professionals concur that there may be a link to fibromyalgia symptoms and the brain neurotransmitter chemical serotonin, and they believe that abnormally low levels of this chemical lower pain thresholds and therefore contribute to the widespread, chronic pain associated with fibromyalgia. This, however, is just another theory at this time. One other popular theory regarding the cause of fibromyalgia is that it results from some kind of sudden trauma to the brain, spinal cord and/or nervous system. Another is that the disorder is largely genetic. Most neurologists and professionals within the medical and scientific communities concur that fibromyalgia likely develops due to a combination of factors that are unique to each sufferer. Regardless of the root cause of fibromyalgia, for the sufferers of this debilitating disorder, the pain is all too real. This is because the calling card of this insidious invader is, above all, widespread and chronic pain that is incredibly difficult to control using traditional methods. What is needed to prove fibromyalgia disability? Fibromyalgia disability can be a chronic and debilitating diagnosis for some patients, while in others a diagnosis of fibromyalgia may produce only mild, tolerable symptoms. For this reason the Social Security Administration has drafted new guidelines regarding what qualifies a fibromyalgia disability applicant to receive Social Security Disability benefits. After all, in many cases the symptoms of this pervasive condition may be absent for days at a time, and in order to be legally entitled to receive Social Security Disability benefits under the law, a citizen must be unable to work. As of July 25, 2012, new Federal guidelines pertaining to Social Security Disability benefits for fibromyalgia disability were released in an effort to clarify the medical standards that need to be met by applicants. Our team understands these rules from front to back and uses them to your advantage to win your ssd case! In summary, to qualify as fibromyalgia disability, an applicant must prove that their functional abilities are severely limited and that they have what is called a ?medically determinable impairment.? This cannot be determined solely by a doctor?s opinion, and rather must be substantiated with quantifiable evidence of impairment along with a clinical diagnosis. Evidence of impairment includes having a history of widespread pain that occurs all over the body, both above and below the waist and in all four ?quadrants? for at least three months or more; having at least 11 ?positive? tender points (out of a possible 18) on the body; and being able to prove that fibromyalgia disability and nothing else is the root cause of these medical conditions. In addition, the Social Security Administration may consider repeated episodes of other fibromyalgia disability symptoms such as sleep issues, irritable bowel syndrome or chronic fatigue. If you suffer from fibromyalgia, chances are the one thing you are seeking more than anything is relief from your chronic, widespread pain, fatigue and the plethora of other symptoms that are par for the course when dealing with this debilitating condition. Unfortunately, fibromyalgia treatment is far from universal. This is likely because there is no known root cause of the disorder, making it very difficult to snuff out. In most cases, the most sufferers can hope for is symptom relief; and they can expect to deal with the symptoms every day for the rest of their lives. There are many types of so-called ?traditional? fibromyalgia treatment options that sufferers can discuss with their doctors, most of which focus on managing pain and getting sufferers on a decent sleep schedule to help with the sensation of chronic fatigue. This means that you will likely be prescribed prescription medications such as anti-depressants, pain medication and sleep aids. These types of pharmaceutical fibromyalgia treatment options are useful to some patients and not so useful to others. It?s a lot of hit and miss and trial and error finding a combination that works on each individual basis. Because traditional fibromyalgia treatments are so unreliable, many sufferers of this disorder have turned to holistic and other new age and not-so-traditional options to try to manage their symptoms. Some of these more natural fibromyalgia treatment options include such methods as meditation, diet and exercise, herbal supplements and support groups. Some people find that simply socializing with other sufferers of this dreaded illness helps to alleviate some of the symptoms in and of itself. If you have found yourself facing a diagnosis of fibromyalgia (likely after much pain and suffering, and many, many doctor?s office visits and sleepless nights) you may be wondering why and how you became inflicted with such a relentless and insidious disorder. According to the American College of Rheumatology, fibromyalgia affects somewhere between 3 and 6 million Americans. The vast majority of sufferers, more than 80% at least, are women; and the majority of those women don?t begin showing symptoms until middle age. It is possible for men and children to be diagnosed with fibromyalgia, but chances are if you are dealing with this dreaded disorder, you are a woman who is entering the latter stage of her life. Because doctors and scientists are unsure of what exactly causes fibromyalgia, it is very difficult to say why this should be the case, but statistically this is how the numbers pan out. Additionally, patients that already suffer from autoimmune or some rheumatic diseases like lupus or RA may be more predisposed to also suffering from fibromyalgia, in conjunction with their primary diagnosis. It is also interesting to note that many women who find themselves suffering from fibromyalgia find that they are in good company and that they in fact have a family member that also suffers from the condition. This is a curious fact, but no one has been able to determine if the reasoning behind the occurrence is related to genetics or if it has something to do with unknown environmental factors that may be behind this sneaky, debilitating disorder. Studies into the cause of fibromyalgia are ongoing and new leads and information is constantly being uncovered. Regardless of how you believe you came to have this debilitating condition, our advocates will fight for you and win you the disability benefits you deserve!